Ghana Decides was an online project which aimed to cover the run up to the then upcoming presidential election of 2012, hoping to “foster a better-informed electorate for free, fair and safe elections,” using online social media as their primary tool. An initiative of Blogging Ghana, it built upon this existing community of social media users and enthusiasts in and out of the country. The project ended in January 2013, after the election was completed. When we began, it was with one purpose to ensure that the words of Ghanaians usually drowned and watered down by mainstream media would this time permeate social media, and augmented so much that it could not be ignored by media outlets and politicians. We are happy to have done simply that. Ghana Decides travelled in-person to offline communities in nine out of Ghana’s ten regions – often focusing their attentions on socially excluded groups, women, and youth. Discussing these groups’ concerns and gathering information, they would later share results of these off-the-grid meetings with a wider online population once online access was regained. This allowed the Ghana Decides team to work towards broadening the range of issues discussed online, giving voice to certain communities whose challenges are not otherwise online – helping to paint a fuller, more inclusive picture of Ghana and its challenges online. 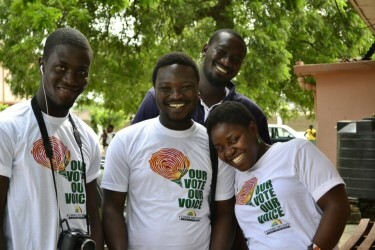 Ghana Decides had several strategies to promote their campaign. They say that gaining support of the existing online community – especially young people – was significant to much of their success. They also used a strategy of publicizing particularly poliarizing news events to work against apathy and to engage citizens (such as with President Mills’ death). Ghana Decides also focused on creating partnerships with other Ghanaian organizations serving unheard communities, and trained many in the use of social media for elections related work. Some of these partners, such as Voice Ghana – working with physically challenged persons – are now online for the first time. They say, “Given the gap of access to internet and knowledge of social media, we just barely scratched the surface.” But, they emphasize, the results are encouraging. The Ghana Decides team is still posting information about their work on Facebook and they were recently awarded an innovation grant by the Ghanaian Trade Ministry, recognizing the impact of their work. 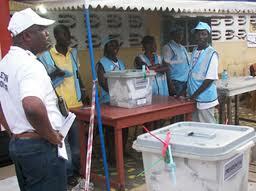 Images courtesy of Ghana Decides website and Facebook page.